Abstract: Airwheel is known for advanced technology and the C8 adventure helmet doesn't disappoint. The outer shell of the helmet combines the best aerodynamic shape with consequent protection. 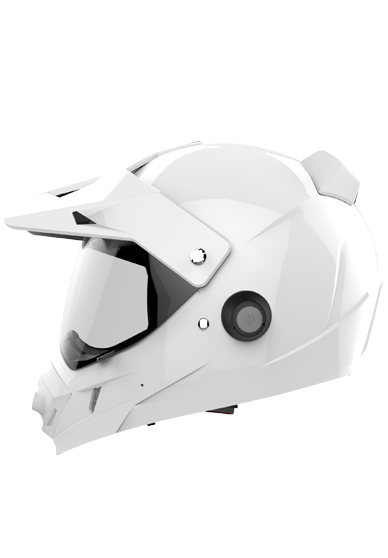 Besides the electric scooter or smart e bike, the protective equipment like helmet also belongs to the business scope of Airwheel. C8 full face helmet covers a brand new scenario. This is a top of the range full face helmet. It is characterized by its elegant design, its many technical characteristics. It made of strong plastic ABS, has passed rigorous testing of extrusion, impact and high temperature to give rider maximum protection. The special shaping of C8 outdoor sport helmet shell and of the leading edge of the helmet provide the necessary down force. Even higher speeds do not lead to lifting forces. Cheek pads incorporate an easy removal feature as part of C8 full face helmet's interior. Adjustable flow through vent ports help to keep heat in check, while the liner adds comfort and proper fitment. The top intake vent combines with rear exit vents to provide flow-through ventilation, helping to pull heat out of the helmet's interior. A thought through multi-zone foaming of the inner shell provides great impact dampening properties. It chooses high quality materials featuring by excellent moisture absorption and perspiration function, making users enjoy excellent experience. All of this stands for maximum safety. In addition, the most appealing feature of C8 is the smart functions. C8 smart motorcycle helmet is embedded with a high-definition camera. The 2K field of vision can capture the images and record the wonderful moment. Moreover, C8 can be connected with mobile phones by the smartphone app and then users can upload your videos or images into social platforms (download app from http://www.airwheel.net/home/app). It deals with the trouble that most cameras cannot import the files into phones timely. Furthermore, thanks to the high tone quality Bluetooth loudspeaker, riders can listen to music while riding. The wind sound won't influence the listening effect during outdoor activities. Indeed, Airwheel C8 adventure helmet lets you enjoy a new level of safety and entertainment. Check out the airwheel.net to find more features. Next：Which Airwheel New Arrival Is Your Type—Smart Electric Bike, Sport Helmet Or The Smart Chair?